Easier and more economical to use than powders. In some conditions a block is even better choice than a powder. 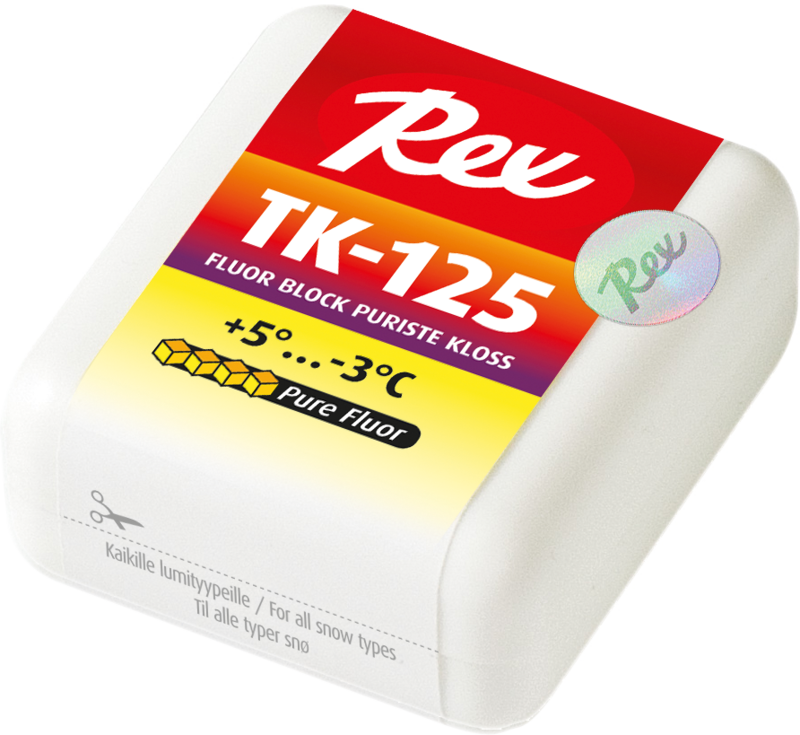 Meant for coating LF or HF waxes, but can also be used as a “boost” on top of powders. TK-72, the long-reigning king of fluor blocks, has finally received a successor! 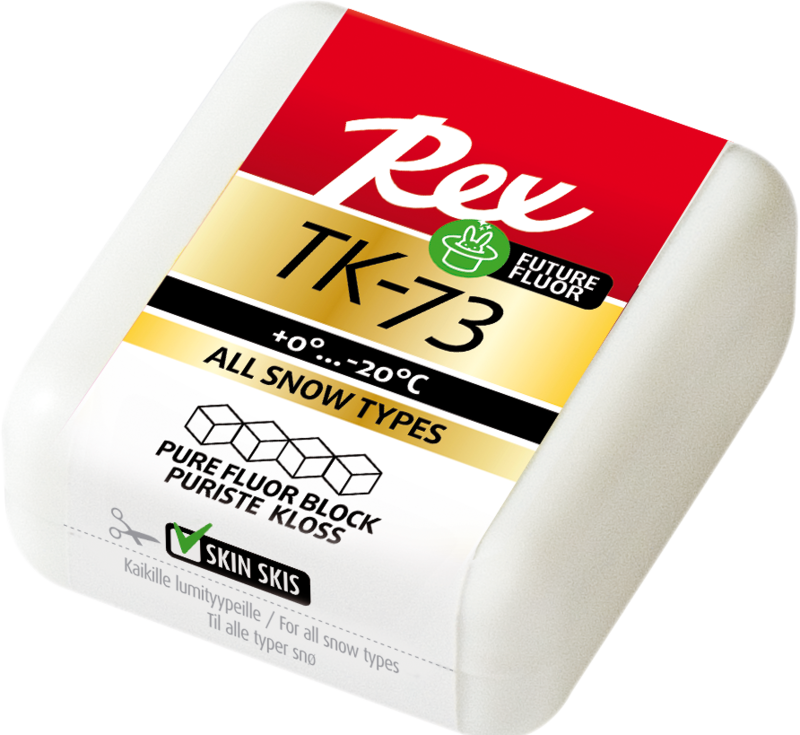 TK-73 is a PFOA-free universal fluoro block for subzero conditions and all snow types. You can never make your skis slower with TK-73. Use it as a coating for our gliders, and you are already stepping on to the podium. Rub on skin ski mohair inserts for better dirt repellency and glide. For coarse and moist snow, and wet conditions. 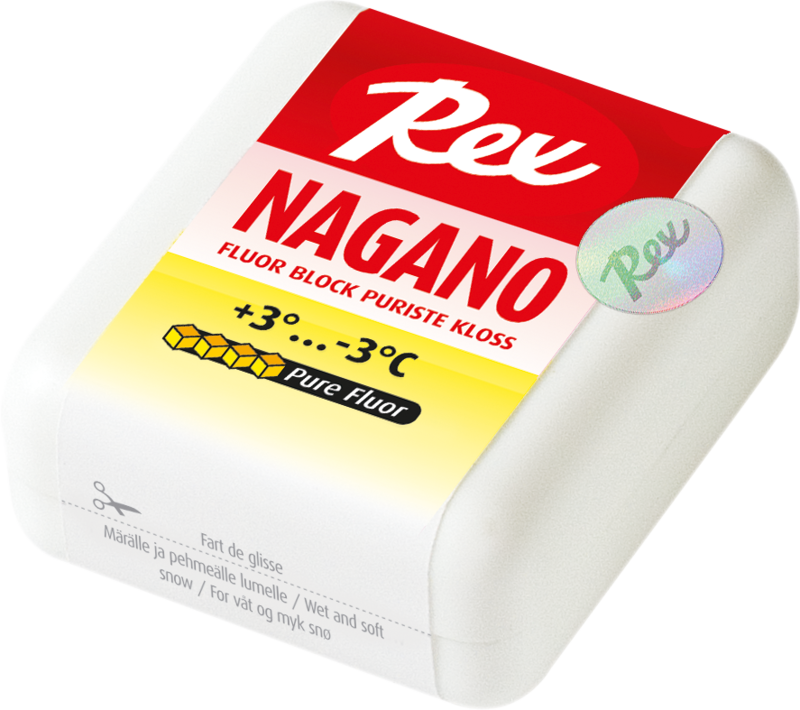 Easy to use, reliable and economic choice for race waxing. A special coating for moist, falling snow and soft track around 0°C.